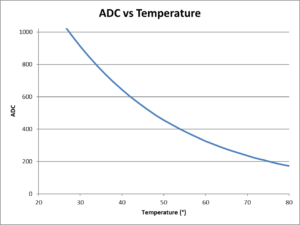 Above is a plot of the ADC count for the 10k-3950 thermistor with 33k resistor from 5V. 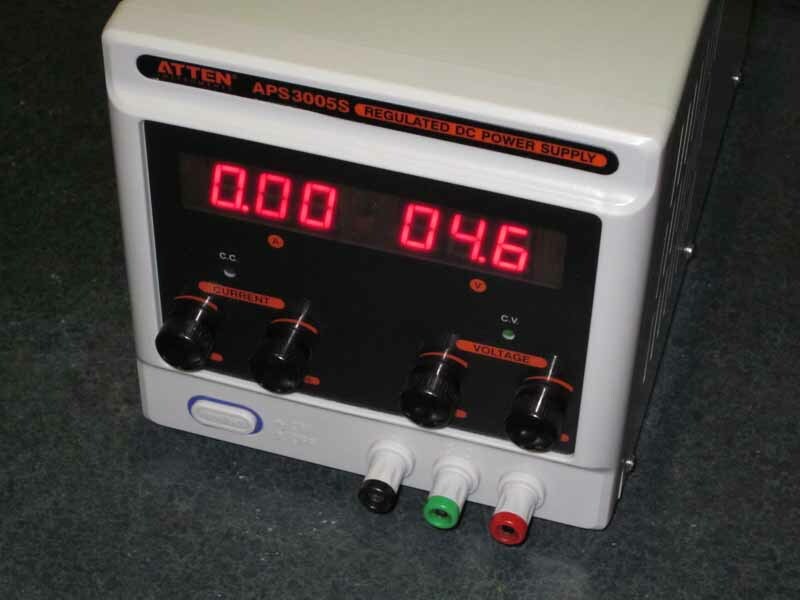 The parameters set will be SetPoint=40°, Differential=4°, Alarm=90° and minimum run time 60s. 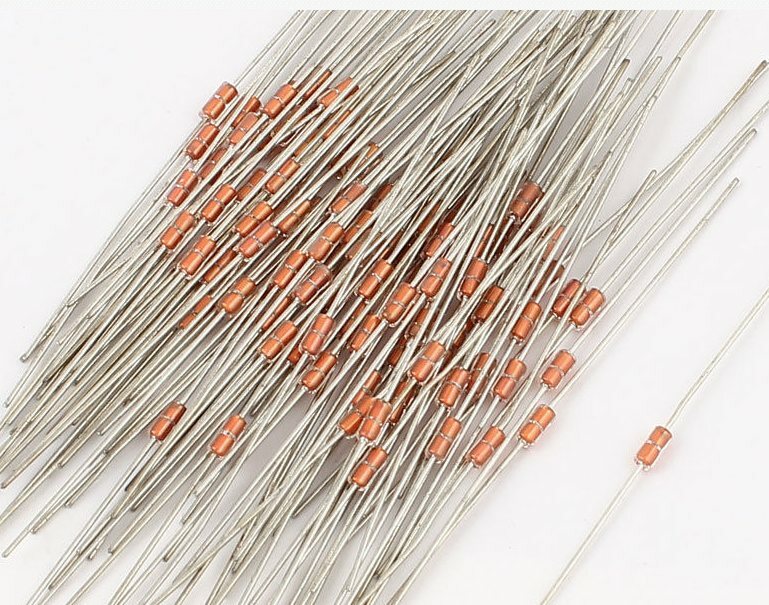 Actual heat sink temperature will be 5° or so higher due to temperature drop in the thermistor thermal link. 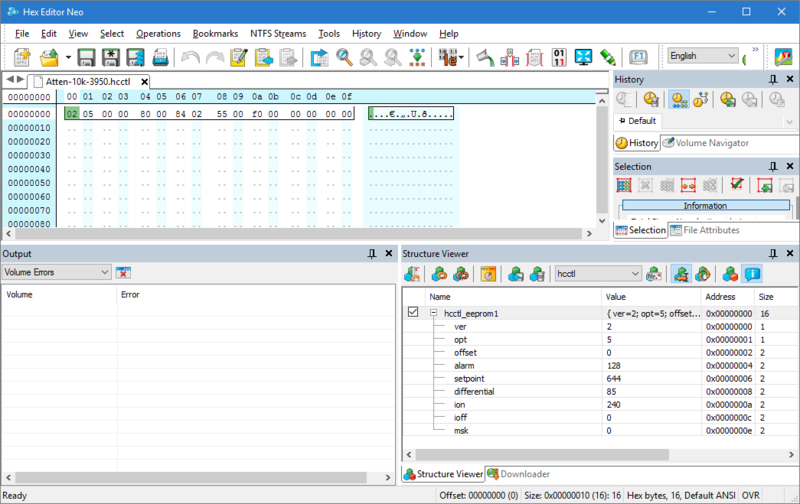 Above, the appropriate ADC count values loaded into the EEPROM image. 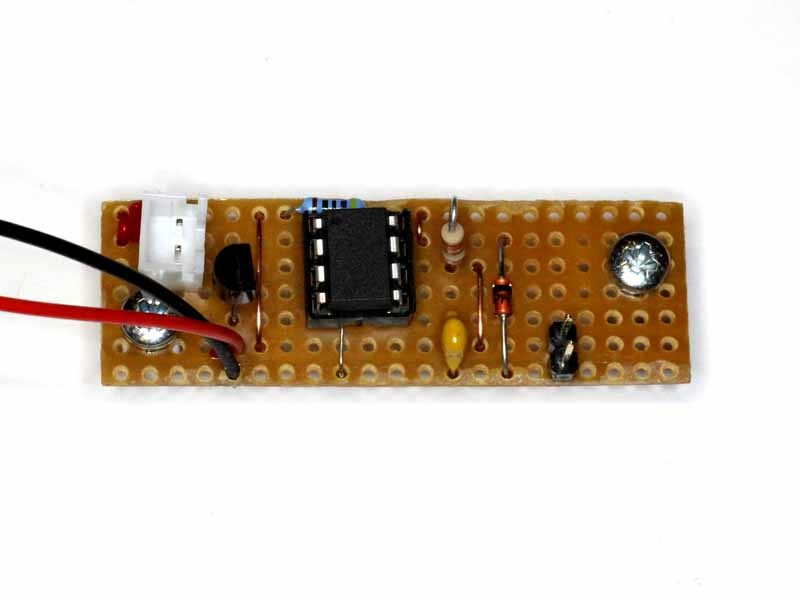 Above is the implementation on a piece of stripboard. I considered including the audible alarm feature, but didn’t though I probably should have given the inadequate nature of the heatsink. The original fan plugs onto the header pins at top left, and the thermistor plugs onto the header pins at bottom right. The cable has a JST HX plug to go into the original fan socket, and the original thermostat has been bypassed so there is always 12V on that socket. 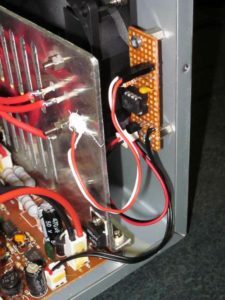 Above is a view of the board fitted to the power supply. The original thermostat (which is bypassed) is the TO220 package on the lower right corner of the heatsink. Above, the temperature sensor is a 10k-3950 thermistor (~$7/100) embedded in a blob of thermally conductive adhesive on the heat sink near one of the pass transistors. The sensor location is deliberately out of the direct air stream, and close to one of the transistors. Initial assessment of this heatsink arrangement on purchasing the power supply was that it was lightweight for the power supply ratings. 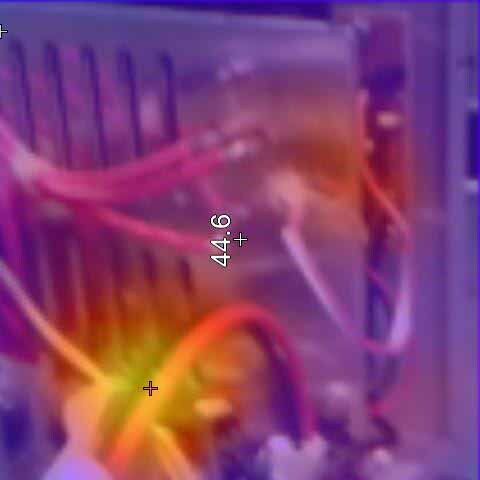 Thermographs confirm that view, heat is concentrated near the transistors and the rest of the heatsink is much lower in temperature, ie most of the heatsink is not effective in shedding heat. 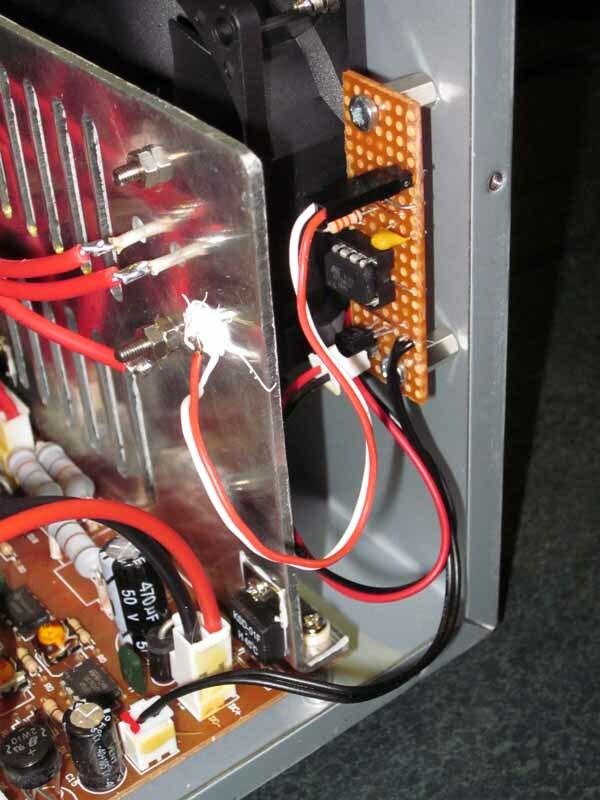 A very brief test of the heatsink was performed by putting a s/c on the supply and adjusting the current to 3A. The heatsink temperature stabilised with cover off and fan running at 55°, a 35° rise. 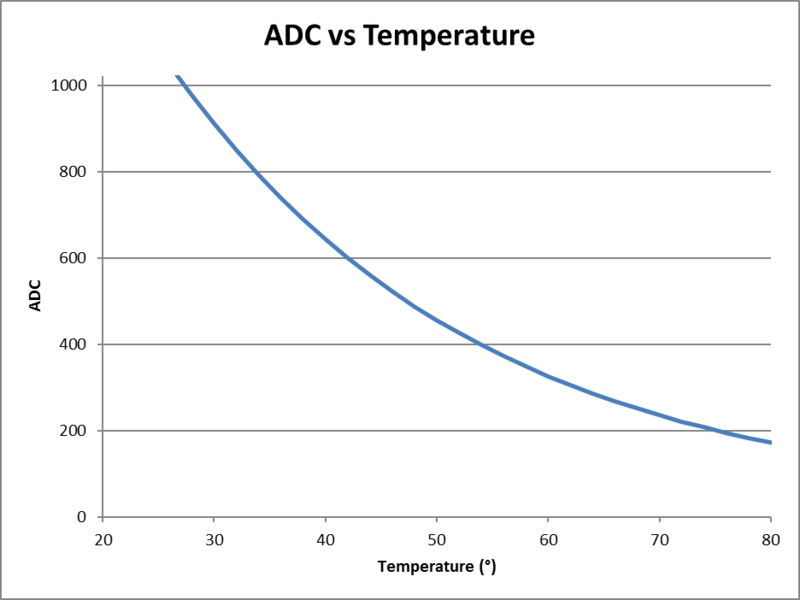 It is likely that with cover on and worst case s/c load of 5A, the heatsink may rise a little over 70° over say 40° ambient for a heatsink temperature of 110°… high but not ridiculously so. 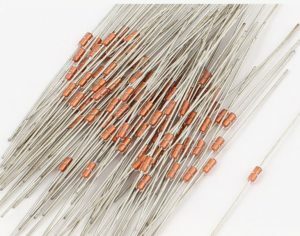 The transistor junction temperature at 40W (15V*2.5A) per transistor is probably towards 80° higher or 190°, just below the specification maximum of 200°. The thermograph is after stablising with a 3A s/c. The hotspot to the bottom of the thermograph is a resistor on the PCB. The heatsink temperature is fairly even, the punched pattern seems to work. ———. 2013. 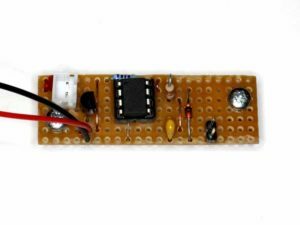 Arduino thermometer – a tutorial. 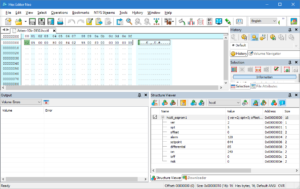 VK1OD.net (offline).